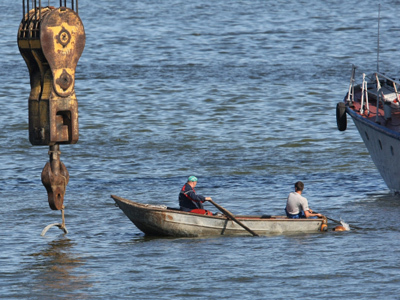 The raising of the pleasure boat Bulgaria that started early on July 17 has been interrupted by the rupture of one of the lifting cables attached to the ship. 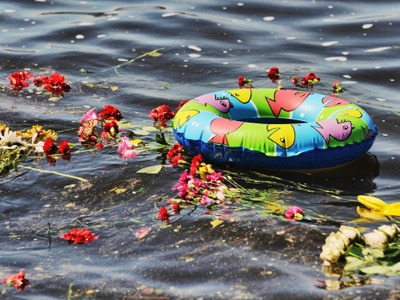 The Bulgaria sank on July 10 killing at least 114 people. ­Before being brought to the surface the Bulgaria was first meant to be brought to an even keel. 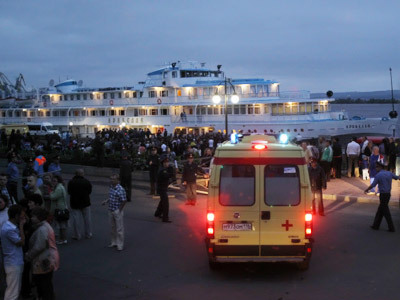 This stage was considered one of the most important stages of the salvage operation, a source in the emergency headquarters of the effort told the Itar-Tass news agency. While the Bulgaria was being righted, a balancing sling ruptured. It did not, however, have a serious effect on the ship's straightening. "The second crane was holding it. 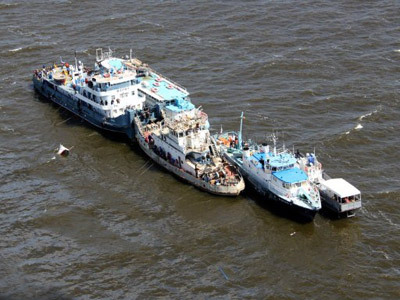 The vessel did not sink again," Russian Deputy Transport Minister Viktor Olersky said. Deputy Emergency Situations Minister Aleksandr Chupiyan said that the rupture of a lifting cable caused a minor spill of fuel, but rescuers contained the spill rapidly. 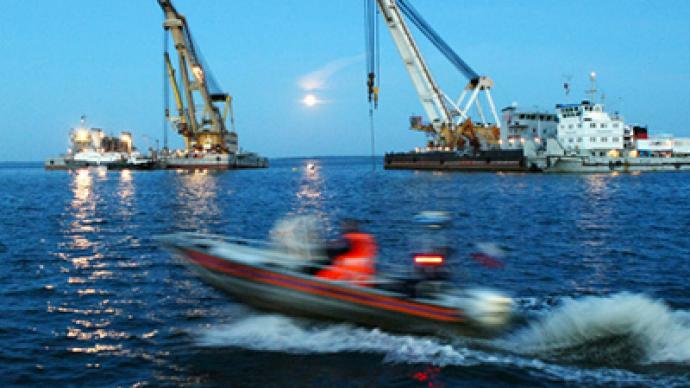 "Booms were placed immediately, and the spill was contained by 11:50pm. We will not remove the booms until the end of the raising," he said. The operation will now continue. The vessel was expected to be lifted as soon as by Monday evening., but the incident with the cable will probably slow the operation down. "Theoretically, we could lift 'Bulgaria today. 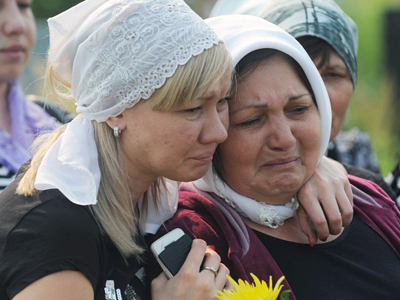 but now the operation will most probably take several days ,” explained Olersky. 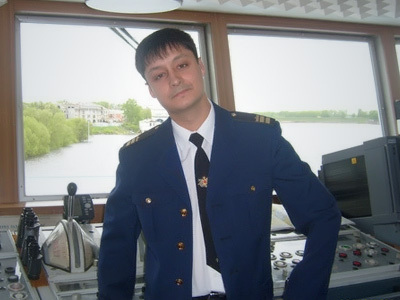 The Bulgaria cruise ship sank near the village of Syukeyevo located not far from the capital Kazan in the Russian republic of Tatarstan on July 10. Only 79 of the 208 people on board survived the wreck. The riverbed is being searched for 15 missing people.But recovery crews say the work is complicated because the vessel is stuck in the silt at the bottom of the Volga. 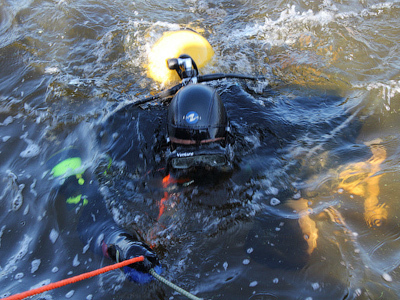 Investigators and relatives hope then that definitive answers can be found as to why the ship sank.